Clubland is all about recreating the packed dancefloors of the world's biggest clubs in your own environment, with the CDs packed with dance floor anthems and the hottest chart tracks. But all these clubbers who experience the main room dance floor vibes also visit the R&B rooms of clubs where the DJ spins the biggest sing-a-long R&B anthems, going back into the mid nineties straight through to the present chart smashes. 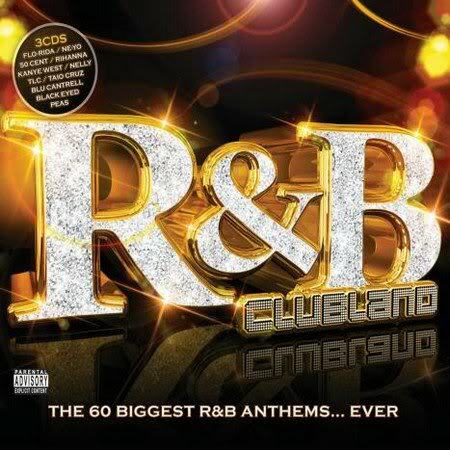 'R&B Clubland' is the R&B room! 3CDs filled with some huge classics and some hot hip hop and R&B anthems. This is the ultimate R&B Anthems package for those who remember when these hits first came out and those to are only just starting to party to them now. With huge hits from: Jay Z, Black Eyed Peas , Nelly, Mary J Blige, Beyonce, Usher, R.Kelly, Justin Timberlake, Jennifer Lopez & LL Cool J.